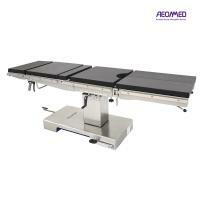 BEIJING AEONMED CO., LTD. is a leading OR and ICU equipment manufacturer and medical system solutions supplier. There are 6 business lines of OR and ICU including, anesthesia machines, ventilator, operation table, surgical light, medical pumps and ceiling pendants. And five Medical System Solutions which including Laminar Flow、Environment and Equipment Configuration 、Centralized Gas Supply 、Process Quality Control and Information Integration. 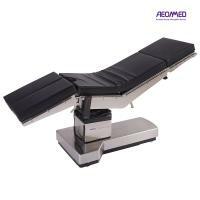 In 2008, one anesthesia machine designed and made by Aeonmed was successfully launched in the US market which made a breaking through for the Chinese anesthesia manufacturers. So far Aeonmed's products have been sold to more than 120 areas and countries, and 61 products have received the CE certificate. We are proud that one of our emergency ventilator, Shangrila 510, was selected among almost the most famous brand around world as standby support for emergency use on every event spot, the total number was 175 units. In June 2013, Aeonmed’s intensive care ventilator gains the access to the US market. It is milestone of ventilator business developing in China. 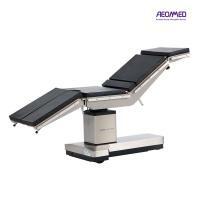 Independent innovation built Aeonmed's competitive ability. To date, over 800 patents have been approved or applied, including over 500 invention patents. Aeonmed maintaining a substantial annual increase of more than 100 patents. "Reliable Quality, Thoughtful Service” is Aeonmed’s commitment to customers”, and “Guard life sincerely" is the sacred mission of Aeonmed. Facing the future, Aeonmed people are working enthusiastically towards company's vision – to be "the Operating Expert of OR & ICU".